One of my favourite indie bands is British Sea Power, so I wholeheartedly shouted “Yes” when they asked me Do You Like Rock Music? 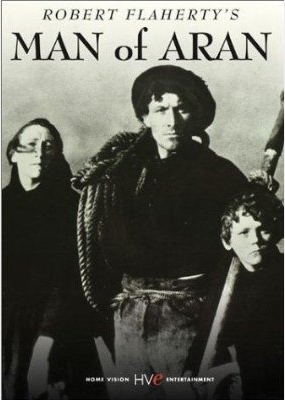 And now, kind of suprisingly, they’ve composed a soundtrack to the 1934 documentary Man Of Aran, by Robert Flaherty, showing the harsh life at those Irish islands (off the west coast). So not only did I want to get their CD, but also have a look at this movie. And what an impressive experience it turned out to be. The power of the sea, its overwhelming might, through this black on white eye. No hiding here (we’re all in this together). All to get the boat on shore. Get wet now, will you. We definitely should fix that hole. Look for sand in the crevices. Spread it on the sea weed. Grow potatoes. Lessons for youngsters: how to catch a crab so you can catch a fish. But leave the shark hunt to the grown ups. We need oil for lamps. And what a fine craft is shown. Camera positions, framing, the imagery and its editing, the stills, the shadows, capturing the enormous splashes. I was highly impressed by both the movie and the (new) soundtrack. Both are so powerful and completely take you onto the rocks and the sea of Aran. These are the kind of surprises you love BSP for. Feel the shivers when you hear how the theme from the song True Adventures (from Open Season) gently comes back again in… It Comes Back Again. 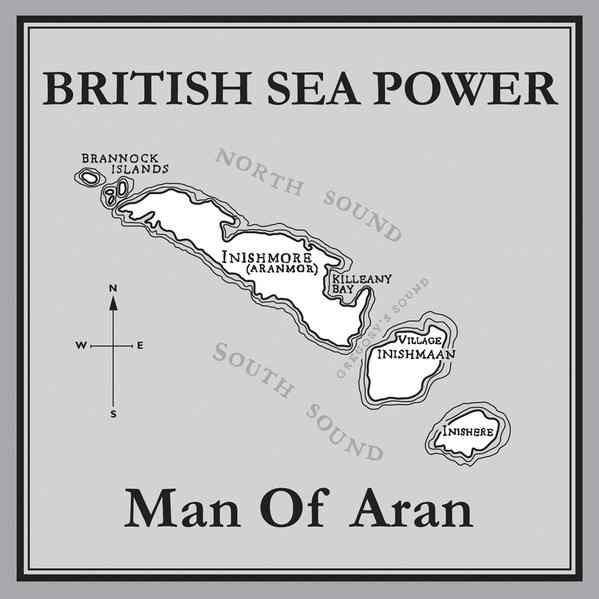 Let’s call them Irish Sea Power (for now).